Explanation: Like falling stardust, cast off bits of comet Swift-Tuttle hurtle through the upper atmosphere about this time each year as planet Earth passes near the comet's orbital path. 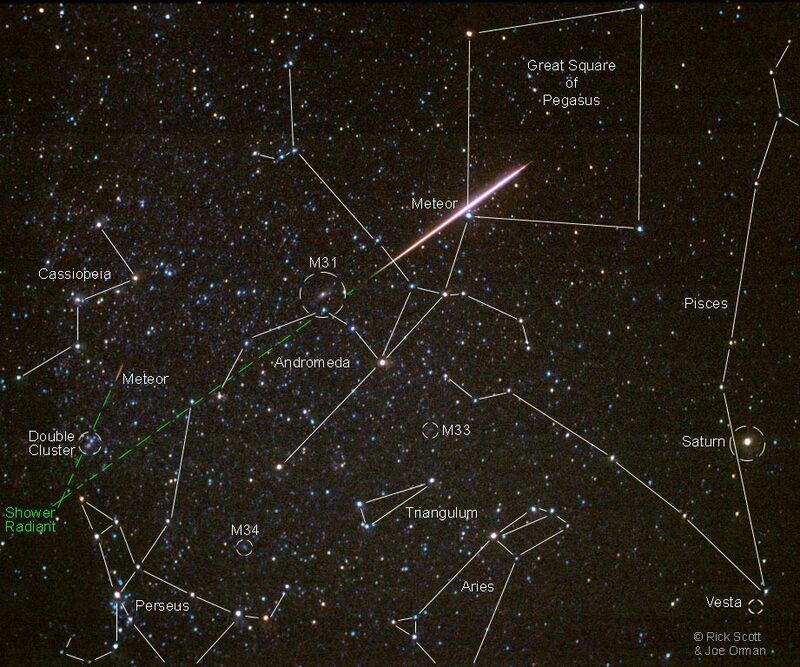 For the northern hemisphere, this regular celestial display is known as the annual Perseid meteor shower -- so named because the meteor trails all appear traceable to a common "radiant point" in the constellation Perseus. 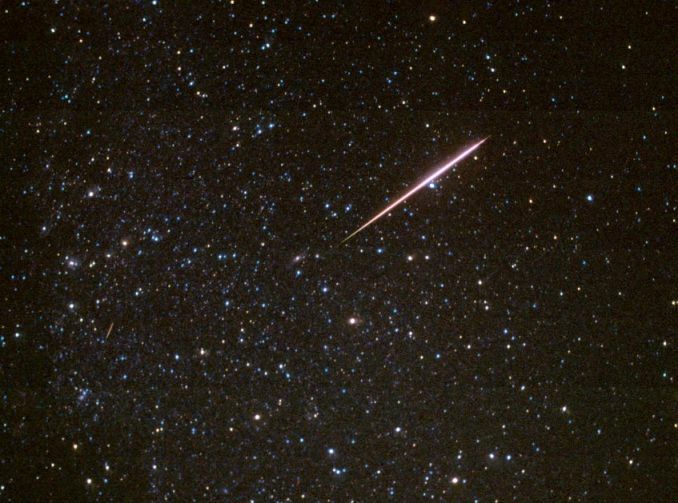 This gorgeous wide-angle photo from the 1997 shower captures a 20-degree-long fireball meteor and another, fainter Perseid meteor trail in a rich area of the northern summer Milky Way. A labeled version is available identifying the shower's radiant point, surrounding deep-sky objects, and constellations. Easy to view (just go outside and look up! 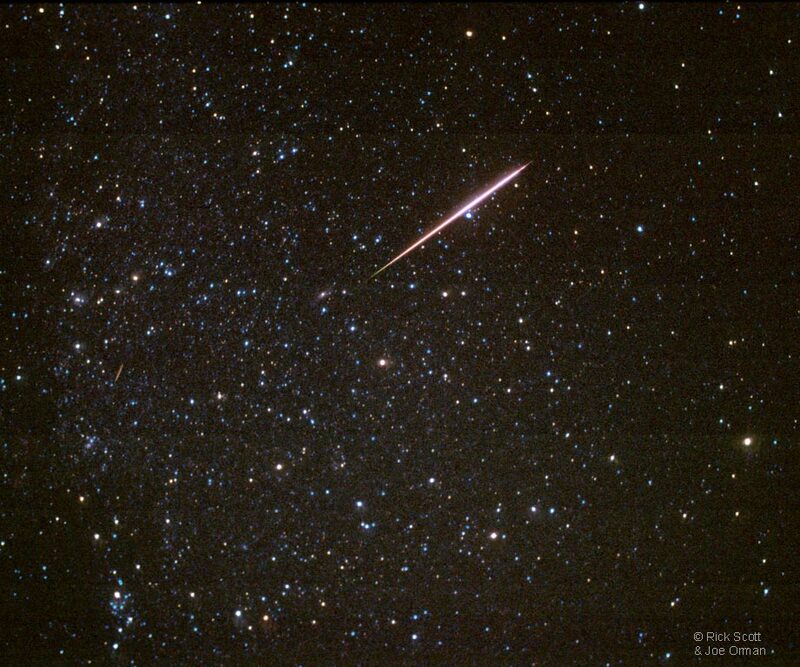 ), the Perseid meteor shower will peak this weekend with maximum rates anticipated early Sunday morning, August 12, for eastern North America. Despite interfering moonlight, last year's faithful Perseid watchers were rewarded with bright meteors and extensive displays of the northern lights.